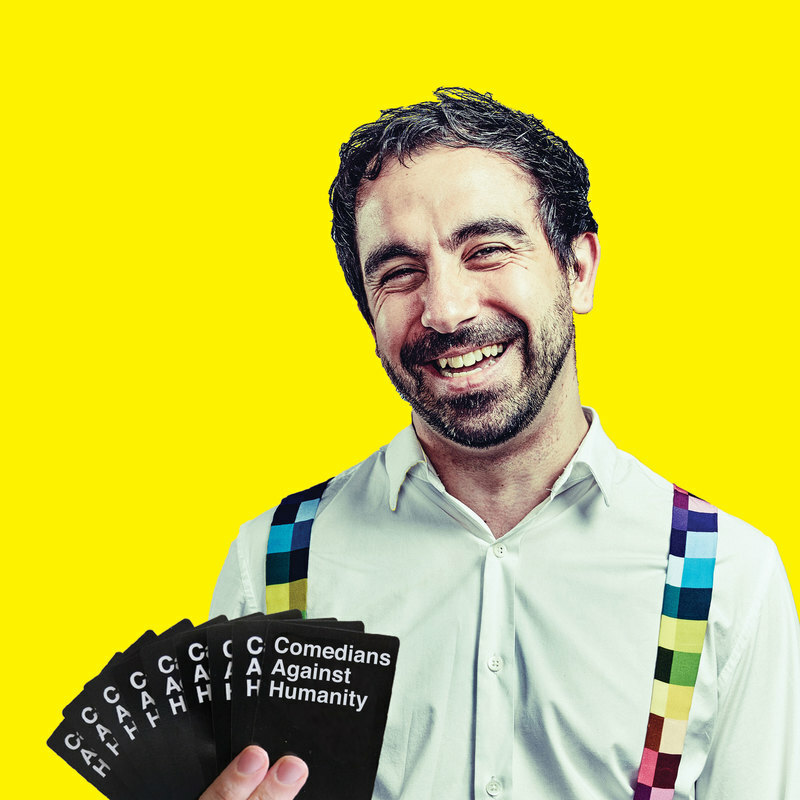 Taking your kids to Comedians Against Humanity? Insanity! Too much profanity. But not if we change all the cards that the children see. We snip the brutality and criminality so our custom deck's full of harmless rascality, like 'Spaceship' and 'Bum Hole' and other anatomy. Which comics make funny with their personality. Bring the whole family!